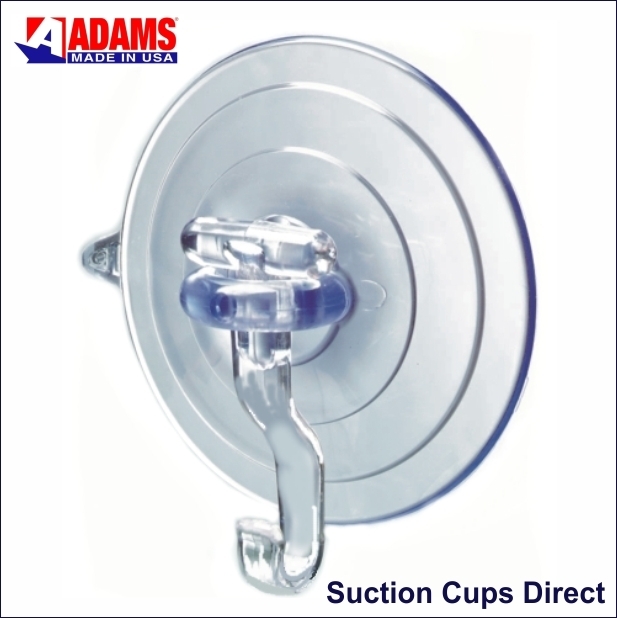 Use these heavy duty suction cups with hooks on clean, dry, non textured, slick/shiny, non porous surfaces like glass, mirrors, glazed ceramic tiles, glossy plastic etc. 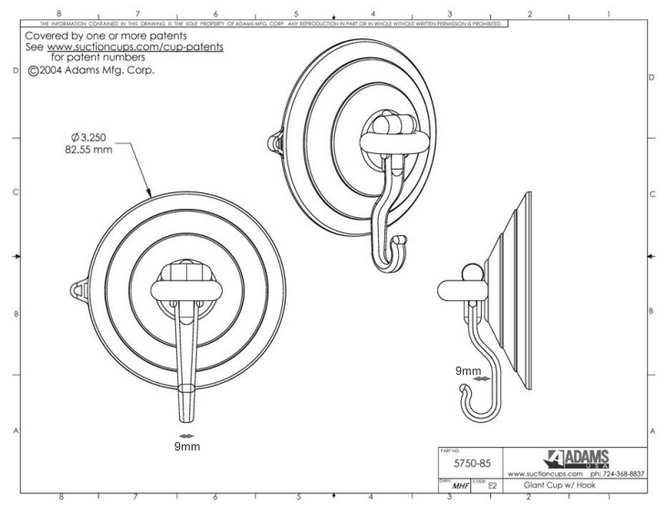 Adams Giant Suction Cups with hooks are 85mm in diameter and will hang heavy items up to 12 pounds (5.5kgs) with strong Polycarbonate hooks. 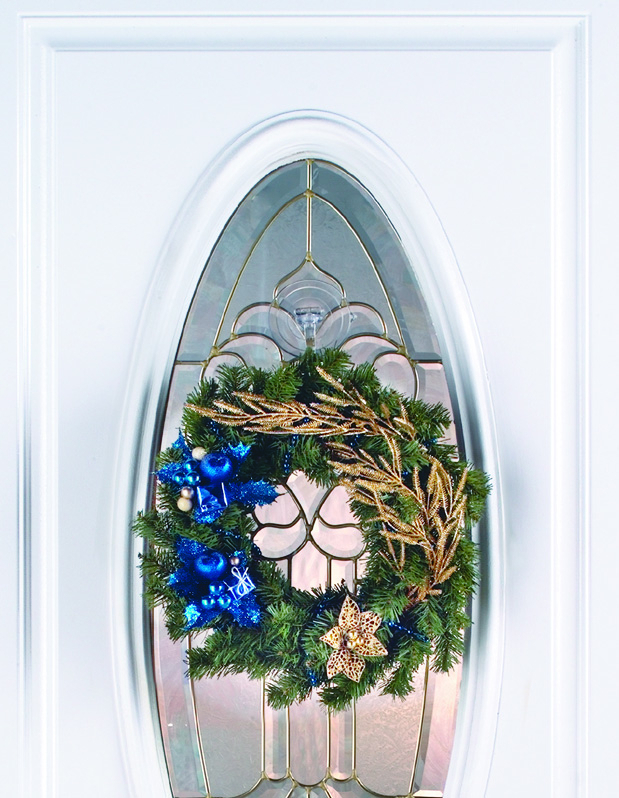 Use the quick release tab on the suction cup edge to remove or re-position. This device eliminates damaging scratches to the cups caused by fingernail picking.